Jamaican born and London based MC Doctor shares the Cristiano Abis directed music video for his single Only You today, 29th March 2017. Produced by Berlin-based outfit Hitimpulse (Craig David, Ed Sheeran), Only You is described by Doctor as “a song made for the girl that’s down for their man no matter what, through thick and thin”. Premiered by DJ Target on Radio 1 Xtra last night, it is the first track to be lifted from Doctor’s forthcoming EP, due for release this coming Spring. 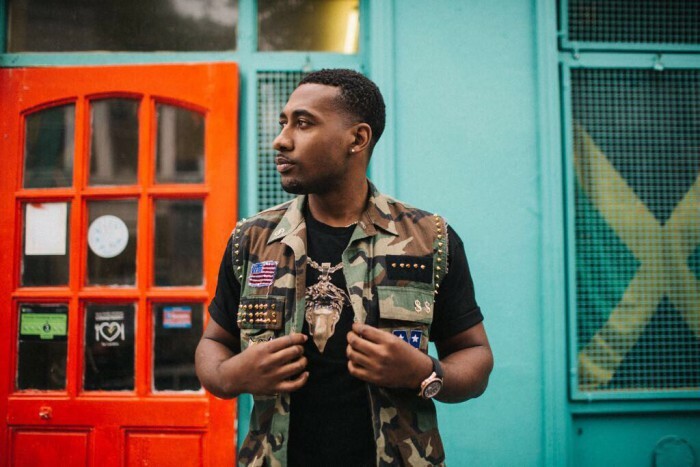 Having started out in various London based emcee collectives, Doctor got his first notable break in music when he featured on Soundbwoy Ent’s Ministry of Sound released chart hit Never Wanna Say. Tek Your Time – a collaboration with Chase & Status for the Shank film soundtrack – followed, before Doctor made series of guest appearances on a variety of tracks from a broad range of artists. From Sigma’s Rudeboy and Calyx & TeeBee’s Where We Go to Flux Pavilion’s International Anthem and, most recently, Vato Gonzalez’s 2 Step. Meanwhile the likes of Busta Rhymes, Nas and Ne-Yo invited Doctor to support them on the European legs of their respective tours. Now Doctor is set to make his mark as a solo artist. An infectious taster of what’s to come from his forthcoming debut EP, Only You showcases his signature, dancehall inflected, ‘Island’ sound.